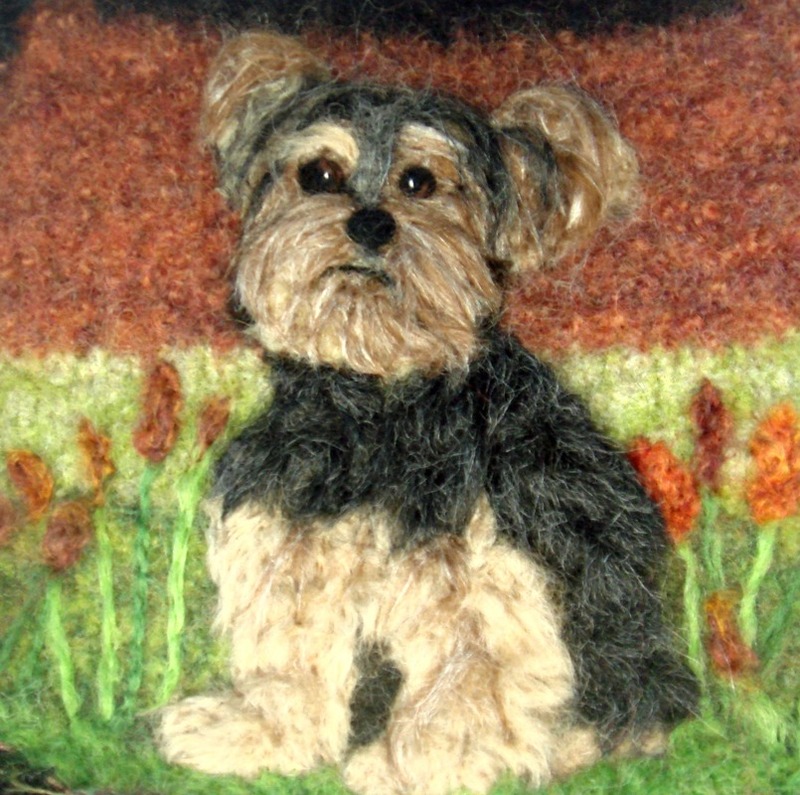 This adorable Yorkie Dog sits in the garden and waits to be adopted. He is so full of personality and I just want to pick him/her up! 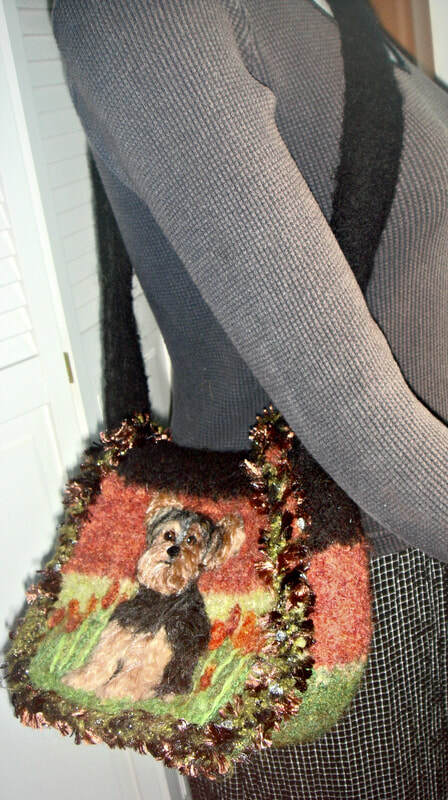 It highlights a Pony Express Style felted bag of colors of grass green,rust,and black. 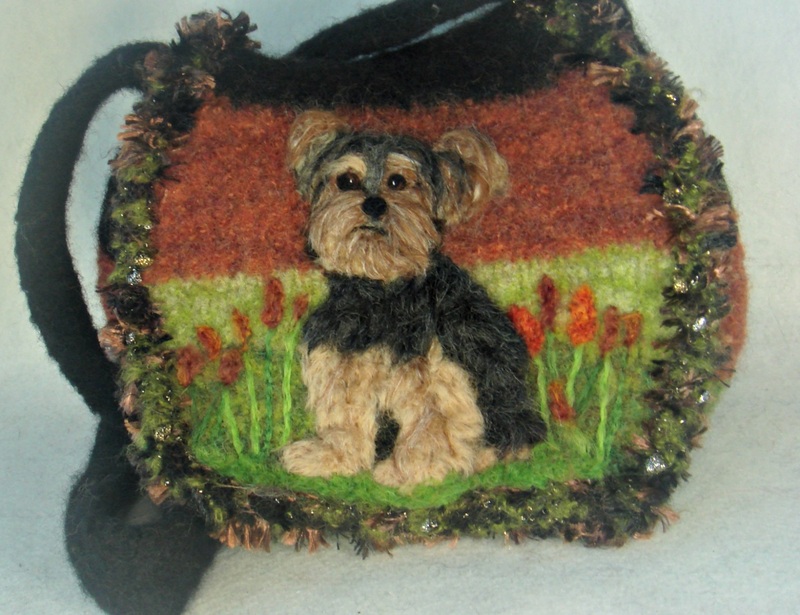 The purse has an inside pocket and closes with a magnetic snap. The measurements are: 11" X 9" X 6". The firm wide strap has a 23" drop. MEASUREMENTS: 11" X 9" X 6"